Four USA Men's club teams -- SF Revolver, Seattle Sockeye, Boston Ironside, and Denver Johnny Bravo -- have begun their quest towards the 2014 World Club Championships. See how they are preparing for their trip to Lecco, Italy. Every four years, the WFDF World Ultimate Club Championships are held, featuring the top club talent from around the globe. In those years, teams from North America must attempt a difficult feat: to peak twice in one season, competing and winning at both Club Worlds in August and USAU National Championships in October. Although challenging, it has been done before. 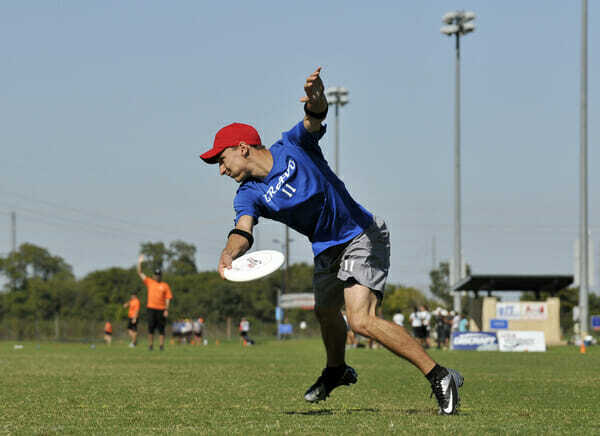 In 2010, both San Francisco Revolver and Fury captured titles in the Men’s and Women’s Divisions, respectively. In our second of three articles, we examine the teams from the Men’s Division headed to Lecco this summer. 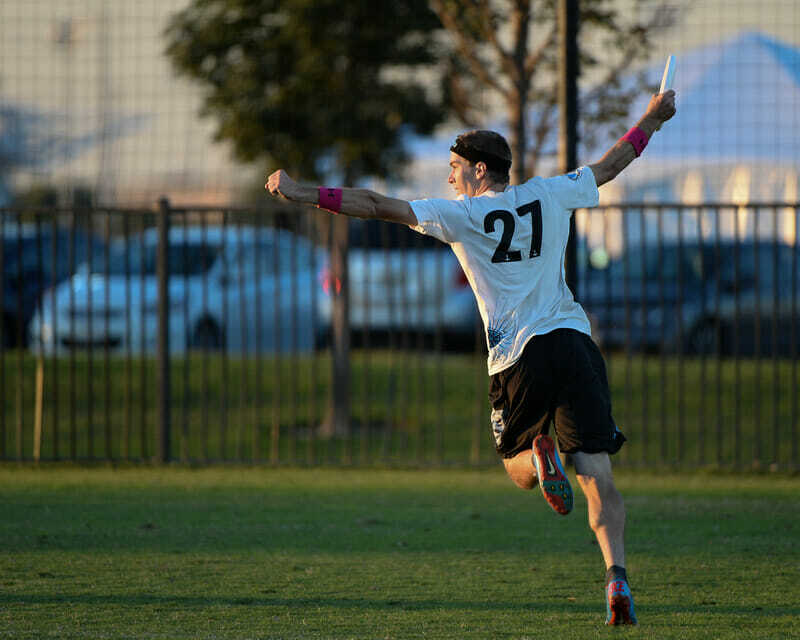 San Francisco Revolver, the defending World Club and USAU National Champions, have a chance this year to forge a dynasty to rival the greatest teams in ultimate’s history. Last year the team looked very different than it had in its early championship run with the core beginning to shift as new players stepped in to fill new roles. This year, the process will continue as two Carleton stars — Alex Evangelides (formerly of Sub Zero) and Chris Kosednar (formerly of Sockeye) — move to the Bay Area to join the team. Additionally, several of the top Polar Bears players will make the shift to Open. Revolver will also see the key return of Robbie Cahill as a stalwart defender. Similar to 2010, Revolver has started the season quite early, pushing into winter as many players are currently playing on semi-pro teams. Revolver embraces development above all else as a team and it is one of the reasons they have been so effective at taking young players and forging them into an elite force. Last year was a prime example of the success of their mindset. Payne is most gratified, however, that these young players have grown and hopes the trend will continue. “Even with Robbie returning,” Payne explained, “Revolver is starting to look very different than the first year we won, which is four years ago now. We founded Revolver in 2006 as a place for young players to grow alongside a few veterans and now we are getting to a point in the next three years that we have the chance to do something that no program has ever done before…which is to continue to win Nationals and World Championships with a new core, different than the one that started. Seattle Sockeye returned in force last year, making the national finals for the first time in several seasons, and looks to continue to show it is one of the most dominant teams in the world. However, they are very aware that a season like this offers new challenges. Internally, excitement is building among the Fish. Many Sockeye players are foregoing playing pro to focus solely on this important season; the captains have encouraged this. Tryouts and training have proceeded according to form, although Kinley says there has been a spike in players (some from out of town) trying for the roster, as it is a Worlds year. Sockeye is one of the most experienced and well-known at the International level. This year’s squad hopes to add another feather to the cap of the vaunted Seattle program. Expect these players to be very confident and strategically poised to take down any opponent that comes their way. 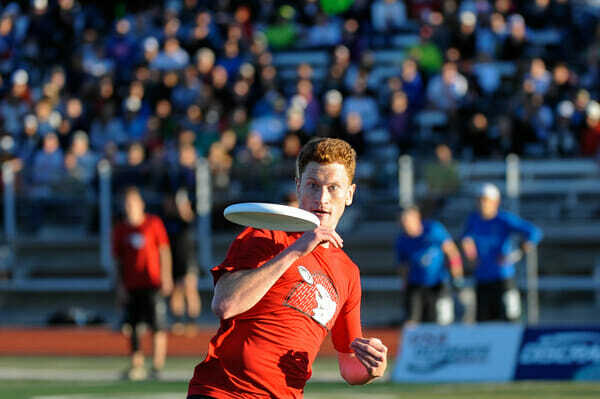 There is no real AUDL presence in the Boston area, but Ironside does have many of its athletes playing on the MLU’s Boston Whitecaps, which reached the playoffs this past weekend with a win over New York and a Philadelphia loss to Washington DC. Ironside looks to employ its athleticism (guided by exercise guru Tim Morrill) and clean, powerful offense off of the vertical stack. Experience at the World Club Championships and at the highest levels of National tournaments will also be invaluable for this squad. Four years ago, many Boston players took 5th in the world at Prague, and since 2008, the worst Ironside has finished at Nationals has been 3rd (2009 and 2012), with three silver medals (2008, 2010, 2011). Worlds, for Ironside, will be more a step in the direction of the National Championships than a focus all its own. The team from Colorado has already made big news this season with their huge roster additions in this Worlds year. Add that to an already talented and experienced roster and you’ve created a formidable force heading into this club season. Bravo — with such talented additions to the roster over the last two years and with Lecco only a few months away — has been doing small group workouts and practices since March. Generally, this squad begins their training earlier than most teams; they also don’t have to deal with any of the complications of a spring pro season, with no teams based in Colorado. Ferrell calls this a “two-sided coin” as it spares the team any commitment conflicts, but limits high-level playing opportunities. The team looks to work hard with coach Bob Krier, who generally designs strong practices around a single theme. Bravo puts in a lot of time on a short and narrow field early on, emphasizing disc movement (especially hucks off of movement) and hitting open players. They like to play 4 v 4 games and mix and match players to get all top 20 guys used to playing on the field with one another. The U.S. Open will be the only tournament on the docket pre-worlds. Bravo expects the additions of experienced players, combined with the experience of last season’s semi-finals appearance, as well as Mamabird’s recent College National Championship, to help the team greatly. An exciting club season awaits, especially watching these four teams attempt the double peak. 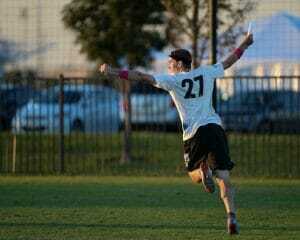 Comments on "WUCC 2014: USA Men’s Division Preview"